CCR arrived to stunning sunshine and a warm welcome from the home team. These two teams have met before in three closely matched bouts in February 2010 (115-104 Rainy City), November 2010 (84-85 CCR) and February 2011 (150-113 CCR); and this bout proved to be just as nail biting. 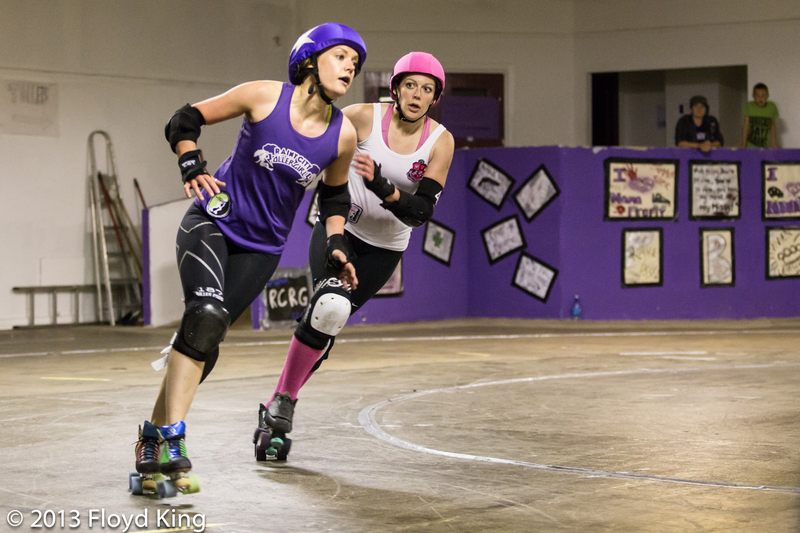 The first 15 minutes saw CCR dominate the lead with a 21 point lead thanks to tight walls, and strong jamming. CCR’s luck in the rainy city was to be short lived as the home team closed the gap with two high scoring power jams and left CCR reeling to finish the first half with a score of 145-99 to RCRG. The second half was a battle to the death between two determined and ambitious teams. Both teams gave away and monopolised a number of power jams which saw CCR begin to close the gap on their hosts. 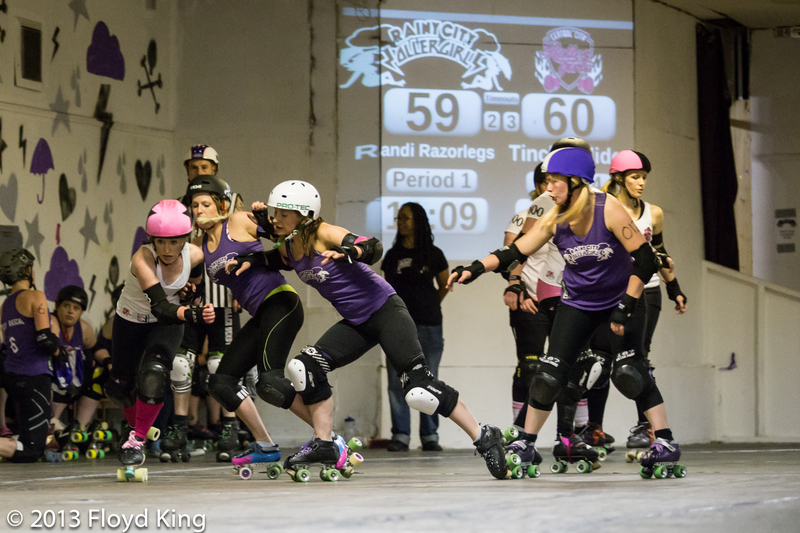 There was jammer on jammer action and some uncompromising hits from both teams but RCRG managed to hold their lead and the day ended with a score of 249-196 to Rainy City. So now it’s Even-Stevens, two bouts to two. When will they meet again to settle the score? Centrinnians will be in action again this Sunday (15th September) where they face Gent Go Go Rollergirls in a WFTDA Sanctioned event. The event is a double header with, the Crash Test Brummies meeting the South West Silures, both fresh from the Men’s Euros. First whistle is at 1.30pm at Doug Ellis Sports Centre, nr Perry Barr Greyhound Track. Tickets link: http://centralcityrollergirls.moonfruit.com/ Tickets: £7 adv (£8 on the door) VIP tickets: £15 (luxury seating & goody bag) Concessions: £5 (pensioners, students with ID, 12-16 year olds). Kids: under 12 free.